As there were more mobile users in 2016 than desktop users across the glove. All things including services, products, and even supplies will need to accommodate to hand-held devices like mobiles, tablets, and phablets. It will become a game of survival of sorts where go mobile or perish’ will be the condition. Else, you can bid Adieu to your customers and business as they migrate to mobile apps and mobile-friendly websites. It is an understatement to say that every business should have a website. In fact, most businesses have at least one website that is functional. But, we cannot say the same about applications. A number of studies by Oracle and Mobile sites have proved that over 60% users prefer mobile apps over mobile-sites to purchase online. Now, if you are into a business which deals with selling products, then owning an application is far more beneficial then a responsive website. CITTA SOLUTIONS believe that mobile-sites are not enough to power user engagement or to optimize your productivity. Businesses will soon need to consider mobile app development to stay ahead of the competition. But, why should a business build an app? And what are the key benefits of mobile applications over mobile websites? We have pondered over it for a long time and listed down nine compelling reasons for you to build an app. At the end of the day What users think and like is what brings business and profits. Applications are usually 1.5 times faster than mobile websites and they perform actions much faster too. Applications store their data locally on your device. Allor, data retrieval happens in the blink of an eye. In the case of mobile-sites, data needs to be fetched from the web servers which can take from few seconds to a minute depending upon the network speed and packet sizes. It’s been noted that users love personalized content for an immersive experience. Users love highly tailored content according to their preferences. It’s like offering them a tailored communication in the language they speak and understand. User-centric personalization is critical in making their experience delightful. Personalization can be based on a user’s interest, behaviors, location, culture etc. And mobile apps make it easy to cater personalized experiences. Your mobile app can let users clearly define and set their preferences from the beginning, based on which they can be served customized content. The app will observe their engagement and behavior to offer custom recommendations and filter updates for them depending upon their actual location in real-time. Isn’t that just awesome! It will wow your customers, as having an app is not only about personalization, it’s also to sell your products and services. Right! Mobile apps offer seamless experiences with their ability to work Offline and Online. All mobile apps offer instant access by a tap. They allow users to consume their content quickly offering seamless experience via storing vital data that can be accessed offline too. Some apps like banking, storefronts, retail, finance, games and news work both online and offline. i.e. loading a news item or a game that can be read or played without internet connection is just wonderful. Ability to work offline is the most fundamental difference between an application and a mobile website. While apps need an active internet connection to perform critical tasks like payments and notifications, but they still offer basic content and functionality to users even in offline mode. And that’s what makes all the difference between a sale and a bounce. Mobile apps have an added advantage where you can code an app into utilizing various features of a native device. So, once downloaded they can use features like Camera that can scan PFDs, QR and Barcodes and NFC to use for payments, GPS to connect with maps and other services and accelerometer, gyro meter and compass that can be utilized for thousands of different purposes. We are seeing the rise of fingerprint scanned on devices which are yet to be explored and exploited for various apps and solutions. Another added advantage is that device features can significantly shorten the time users take to initiate and perform an action and fundamentally change they way a user interacts with the device and your applications. Also, iOS, Android, Xamarin and Hybrid app coding platforms they all have their distinct features and standards that mobile application developers utilize to beautify a user’s experience. The ability to send instant and non-intrusive notifications to your app users is a major reason why enterprises and businesses should build an app. In-App notifications are received when a user opens an application on their devices. Push notifications are received on devices regardless a user opens an app or not. Basically, the update and promotional notifications which you receive on your devices on a daily basis are Push Notifications. Moreover, you can send regular updates via Play store, iTunes, and windows store to your app via OTA, keeping it updated at all times with all the latest features and images and product listings. It will also allow you to promote products and services regularly increasing your sales and profits. Your Mobile Application becomes your Brand Ambassador. Unlike websites that rely on browsers to support functions, mobile applications can be designed to support swipe gestures like a drag, pinch, hold, tap, double tap and more, each performing a certain action that increases user-friendliness. Moreover, you can design your application in the way you want without depending upon the device or browser elements and caching problems. Every mobile app is customized according to a company’s branding and yours won’t be an exception. And if you’re changing your branding, then there’s nothing better than a mobile app. You can virtually change how your app appears along with colors and layout whenever you want with version upgrades and uniform it according to your vision and what users want. Your app then becomes your 24X7 earning salesman. Mobile apps help you expand your audience reach in a very short time by reducing marketing costs. The biggest benefit of mobile apps is that it increases communications between your employees, vendors, and customers by sharing the same resources and place to order, give replies and train about your products and user behavior. They tend to increase productivity by 20–40% with readily available charts and reporting tools with accumulated customer data. Moreover, as you communicate directly with your customers and employees, your marketing and advertisement spend get reduced drastically. Also, your users can share via social channels integrated in your app to expand your social footprint on the internet. That is super beneficial these days considering even FB and twitter has now started charging for premium space and conversations. Mobile-apps have their own interfaces that allow users to experience two-way immersive experience. They can simply share an image to their friends and show what they’ve bought via easy sharing and oneclick buy, will boost your conversation with the customers and revenue. Companies these days are developing websites that habituate their customers with task-based associations over apps with easy accessibility. This improves user’s engagement experience for purchase, query and contacting you for delivery, grievances and all other sales and customer experience related aspects. Your app can be advantageous in two ways, for your in-app content and your website content as synonymous words will be used in the content for products and services. Google these days rank your in-app content too and you can modify your content in your application to help you with your website SEO. You can optimize your application on respective app stores to rank you highly and include certain Dynamic Success Metrics that will ensure your application’s success via SEO tricks for application optimization. In conclusion, there are millions of mobile applications out there on the internet and probably there will be millions more. Remember, users are spending more and more time on apps as latest researches have suggested and a business should be present where its customers are. So, it is the best time to build mobile applications for businesses to fully harness ‘First Movers Advantage’ to sell your products and services before your competitor does. Physical retail is driven by branding and relationships. In addition to these two drivers, online retail is also driven by traffic from search engines. It is not unusual for customers to follow a link in search engine results and land on an e-commerce website that they have never heard of. This additional source of traffic can be the tipping point for some e-commerce businesses. o Advertising and Marketing: Organic search engine traffic, pay-per-click, and social media traffic are some of the advertising channels that can be cost-effective. o Personnel: The automation of checkout, billing, payments, inventory management, and other operational processes lowers the number of employees required to run an e-commerce setup. o Real Estate: This one is a no-brainer. An e-commerce merchant does not need a prominent physical location. It is no longer about pushing a shopping cart to the correct aisle or scouting for the desired product. On an e-commerce website, customers can click through intuitive navigation or use a search box to narrow down their product search immediately. Some websites remember customer preferences and shopping lists to facilitate repeat purchase. It is not unusual for customers to travel long distances to reach their preferred physical store. E-commerce allows them to visit the same store virtually, with just a few mouse clicks. Provide Comparison Shopping E-commerce facilitates comparison shopping. 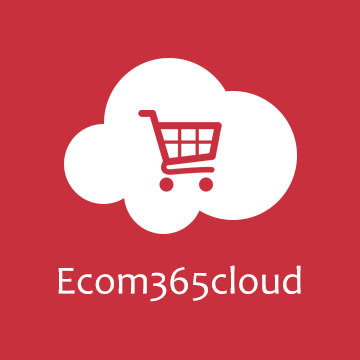 There are several online services that allow customers to browse multiple e-commerce merchants and find the best prices. There are limitations to the amount of information that can be displayed in a physical store. It is difficult to equip employees to respond to customers who require information across product lines. E-commerce websites can make additional information easily available to customers. Most of this information is provided by vendors and does not cost anything to create or maintain. will automatically be shown listings of other similar products. Also, Amazon.com may also email you about related products. Store timings are now 24/7/365. E-commerce websites can run all the time. From the merchant’s point of view, this increases the number of orders they receive. From the customer’s point of view, an “always open” store is more convenient. Create Markets for Niche Products Buyers and sellers of niche products can find it difficult to locate each other in the physical world. Online, it is only a matter of the customer searching for the product in a search engine. One example could be the purchase of obsolete parts. Instead of trashing older equipment for lack of spares, today we can locate parts online with great ease. E-commerce software offers tremendous advantages to today’s online retailers, who are seeking to gain an edge in a highly competitive market. Read on to learn about the key benefits of e-commerce software. An ecomme-commerceware solution can boost revenues in several ways. First, it can help drive more traffic to an online store, which in turn can result in a higher volume of sales. It can also offer customers a more intuitive interface for browsing, so they can more easily find what they are looking for. Also, some ecommerce software packages will dynamically recommend complimentary products and services to buyers based on what they’ve already purchased or viewed. This can improve income generated by up-sell and cross-sell programs. An ecommerce software solution delivers a more convenient and pleasant online shopping experience to buyers. Browsing for specific products and services is simple, and checkout is fast and easy. Additionally, order fulfillment and shipping status can be instantly tracked at any time. As a result, customers will be much more likely to recommend that particular Web shop to other buyers and will also be more likely to return to make additional purchases in the future. Ecommerce software dramatically increases productivity by eliminating the need to hand-code the Web site and all needed functions. It also fully automates such processes as the creation, categorization, and organization of new product listings, as well as the calculation of item sub-totals and totals (when multiple products are purchased), taxes, and shipping expenses. Moreover, ecommerce software solutions streamline and simplify site administration, making it easier for companies to enhance and update their Internet shops as needed. With an ecommerce software package in place, online retailers can analyze browsing and purchasing patterns in great detail to fully understand what drives their business. By gaining insight into the critical trends and factors that influence buyer behaviors they can develop plans to further boost sales and profitability. Consumers can also get description and details from an online product catalog. For your customers, it is very much important to get information about the product no matter whether the time of day and day of the week. Through information, your customers and prospects are making the decision to purchase your products or not. As we all know that physical retail is run by branding and relationships. But, online retail is also driving by traffic that comes from search engines. For customers, it is not very so common to follow a link in the search engine results and land up on an ecommerce website that they never heard of. No matter whether you are looking to choose including warranty information with product descriptions and datasheets or providing it from within an ecommerce shopping cart, you need to make sure that customers must be aware of important terms and conditions that are associated with their purchase.